I will be participating in the 4th annual Stoic Week and hope that you will be as well. The fine folks who run Stoicism Today are providing us an opportunity to live as Stoics from November 2nd until the 8th. If you've wondered whether Stoicism can benefit you, now is your chance to explore the discipline. If you already practice Stoicism daily, here's an opportunity to refresh your practice, discover something new, or benefit from taking in a variety of perspectives other than your own. For me, Stoic Week is the closest thing to a holiday that exists in my philosophy; the reflective form of holiday of course, not the partying kind. To participate go to Modern Stoicism and sign up for the course. You'll be able to download the 2015 Stoic Week Handbook when it's available and you can jump into the forums right away. Each day of Stoic Week provides us with a particular theme that illuminates an aspect of Stoic thought and practice. Much of the week will be a personal journey as participants wrestle with Stoicism and its application to our lives. We can then enter the Modern Stoicism forums to discuss Stoicism with fellow participants. You may also find that meet-ups are happening in your local area, I've heard of a few peppered around the planet. I will be developing an Immoderate Stoic/Good Fortune supplemental for stoic week similar to the post I provided last year. Basically I will provide links to blog and podcast content that fits the Stoic Week themes in case you would like more to review than what the Stoic Week handbook contains. 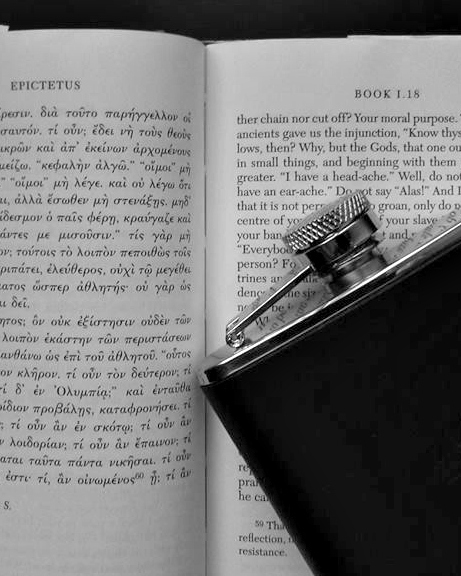 Speaking of get-togethers, I would love to meet with Portland area Stoics during Stoic Week. Presently, it looks like Wednesday, Thursday, and Sunday evenings are open on my calendar. Contact me here or through @imstoic or @goodfortunecast on Twitter if you're interested. Concerning Good Fortune, this October break was unexpected. It looks like I will be the owner of a house quite soon, if nothing prevents it. Potential home ownership brings with it a lot of meetings, paperwork deadlines, and other such official nonsense, so I've had no time to spare for the podcast. I have had an inordinate amount of time to mull over Episodes 11 and 12 however, so expect them in November. So go forth and participate in Stoic Week. If you want to flourish in life, you have to start now, never later. As Marcus Aurelius reminds us "Do not act as if you were going to live for a thousand years… while you are alive, while it is still possible, become a good person." October 16, 2015 by Matt Van Natta.